Each business is different, so let’s learn how you can boost your marketing skills in order to kick off your business into the next era, when digital merges with “real” world. Join us to get an other view of the near future about marketing and technology that coming soon making our communications more organic and spontaneous. Come to step forward in your marketing and business advertising facing new times. Introduction : Not everything that shines is gold, it is content!, The Real Value of the Content Today. Key points of Strat; to be a effective strategy. 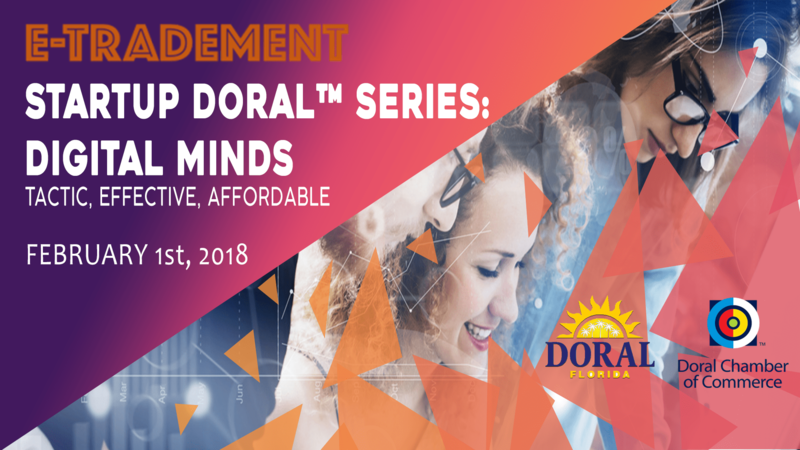 The ” StartUp Doral ™ Series” workshops are offered free of charge through a partnership between the Doral Chamber of Commerce, the City of Doral and local area businesses, on the first Thursday of the month, from 9:00 a.m. to 11:00 a.m. Workshops are to be held at the Doral Government Center (3rd Floor Training Room), 8401 NW 53rd Terrace 33166.